The Iverstine pizza features salami, andouille, onions, provolone, chilies and local honey. Photos by Collin Richie. Pizza is one of my favorite foods. But for years I’ve been sorely disappointed in the local pizza scene. Thankfully, I’ve finally found my pizza nirvana at Rocca, which specializes in hand-tossed, wood-fired pizzas. The restaurant moved into the former Goûter space on Government Street in January and has become an upscale-yet-casual hangout for the Mid City crowd ever since. Our large crew was ready to get down to business, so we ordered three appetizers. All of the veggies in the Caponata relish/dip blended together with the help of a punch of vinegar. It was surprisingly spicy but not overpowering. The thin cracker-like flatbread sprinkled with the Middle Eastern spice mix za’atar lacked flavor, but its simplicity made it a perfect accompaniment that never overshadowed the dip. 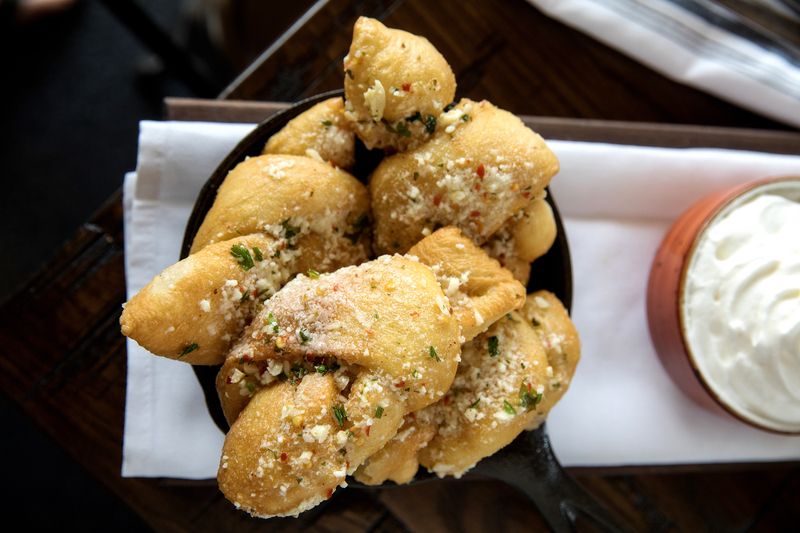 If you only order one appetizer, do your tastebuds a favor and get Garlic Knots. The slightly crisp exterior with a soft and doughy interior made these breads perfect for mopping up the ethereal whipped provolone. What is whipped provolone, you ask? It’s a lush, slightly salty, airy magical mystery of delight that makes this appetizer an intriguing experience. As an added bonus, those who get the last knots are rewarded with all the garlicky, cheesy hot oil pooled on the bottom of the serving skillet. To combat the inevitable extravaganza of gluten, cheese and cured meats, we thought it best to get some veggies in with the Crispy Brussels Sprouts. Though several friends claimed to not be fans, no one seemed to suffer while devouring these oven-roasted nuggets tossed in a sweet and savory fresno chili vinaigrette. To satisfy the vegetable averse among us, our server offered us pancetta on the side so each diner could enhance their serving as necessary with crumbles of salty pork. We ordered the Burrata Salad, but don’t be fooled into thinking we were hoping for a plate of salad greens. We chose it precisely because it was all about the cheese. The creamy burrata was so fantastically milky and creamy, I could have eaten it alone. But the spicy arugula with sweet/tart vinegar contrasted beautifully with the cheese. Heavy additions of pesto and chili oil left the greens on the bottom inundated with oil and severely limp. To get a clear vision of Rocca’s pizza game, we chose one red and three white pies: two meatless and two with meat. Each pizza had a thin Neapolitan-style crust with crisp, charred, bubbled edges—a hallmark of a wood-fired oven. Toppings were scattered without overburdening the dough, keeping the pizza just hefty enough that it didn’t fall apart as we delivered it to our mouths. The Iverstine, my favorite on past visits, is named after Baton Rouge’s own rock star butcher Iverstine Farms Butcher. Salami and andouille from the shop were joined by onions, provolone, chilies and local honey. The sweet and spicy peppers along with the honey gilded the stupendous meats and created an unparalleled salty-sweet-spicy combo. It was a surprise to find the Bolognese pizza under “White Pies” given its base of rich pork ragu. It was so luscious it bordered on being indulgent. The scant spinach and fennel seemed like afterthoughts. More greens and additional fennel would have nicely balanced the heavy, though delicious, pork. An interesting and unique crowd pleaser was the Potato pizza. The chunky mashed potatoes offered smooth and tender texture variations. A hint of rosemary and sugary shallots lightened the flavors and offered an unexpected refreshing finish after the meat fest. Our only disappointment in the pizza round was the Pesto. Requisite green, herby flavors and cheese were present, but so were copious amounts of oil. Some leftover arugula from the salad that we added provided much-needed pungency to balance the oil slick but wasn’t enough to save the overall presentation. One friend insisted on dessert, and so we ordered the gelato and Chocolate Hazelnut Pudding. The Cookies and Cream gelato had a deep brown color with the distinctive flavors of everyone’s favorite chocolate and cream sandwich cookie. But the scoops were completely smooth, lacking an expected crunch of cookie. The Chocolate Hazelnut Pudding with Florentine Cookie was incredibly opulent with intense hazelnut flavor. The toasted sugary cracker, strategically positioned on top of the pudding, had a pleasant nuttiness. Our group was in a particularly celebratory state and famished when we walked in, so we may have gone a bit overboard on the food. 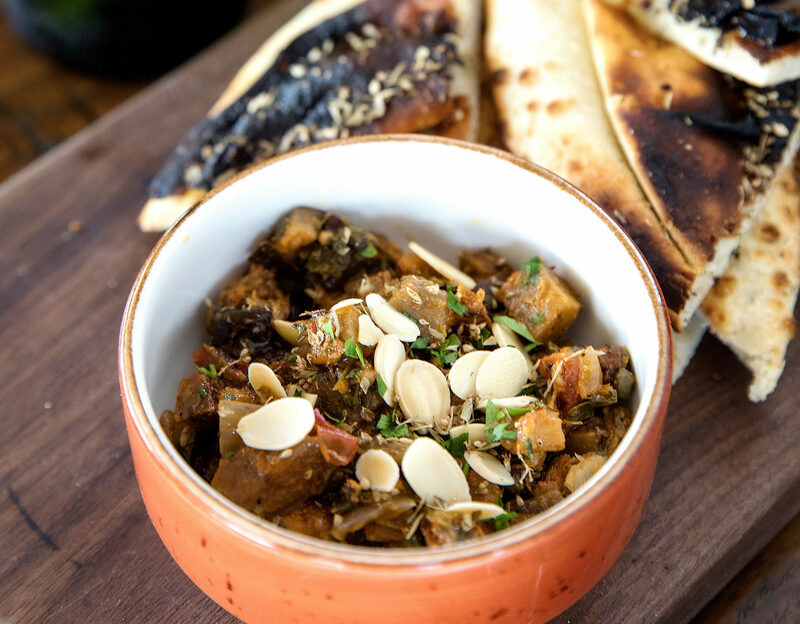 But with wood-fired and locally sourced cuisine this exciting, well-prepared and just plain scrumptious, Rocca makes it far too easy to get a bit extravagant. This is why to-go boxes were invented. And, yes, the pizza was just as stupendous right out the fridge the next day. 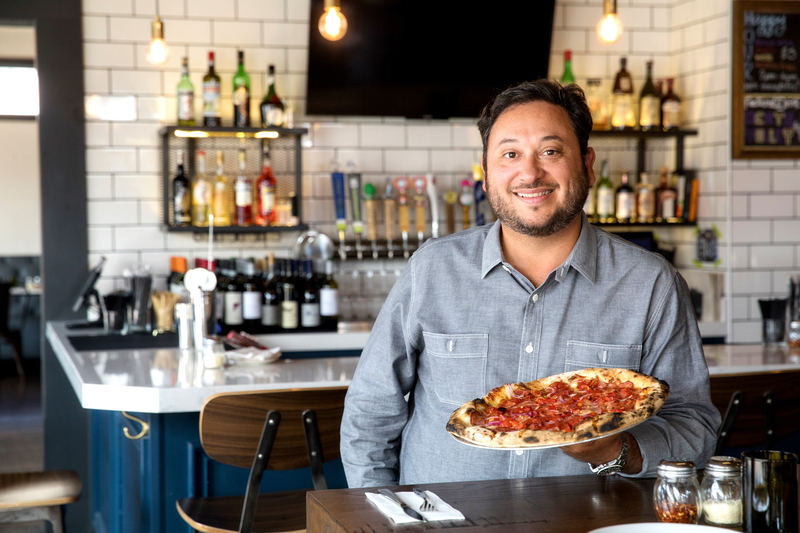 The basics: Taking over the space formerly occupied by Goûter, owner Ozzie Fernandez wanted to bring Neapolitan-style pizza to Mid City via a wood-fired oven imported from Naples, fresh ingredients and locally sourced meats. The attention to detail extends to the bar’s classic cocktails and aperitivos as well as an authentic dessert menu. What’s a must: The Garlic Knots with intriguing whipped provolone is a must for a starter. Of the pizzas, our reviewer’s favorites are the Iverstine with meats from Iverstine Farms Butcher and a drizzle of honey as well as the Potato with chunky mashed spuds, rosemary, shallots and mascarpone. 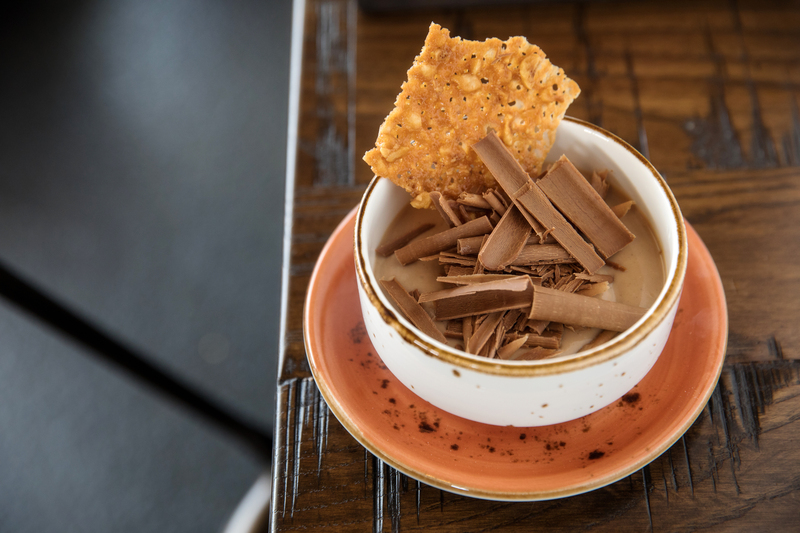 Save room for dessert, like the Chocolate Hazelnut Pudding with a cracker-like Florentine Cookie. Sunday and Monday, 11 a.m.-9 p.m. This article was originally published in the October 2018 issue of 225 Magazine.